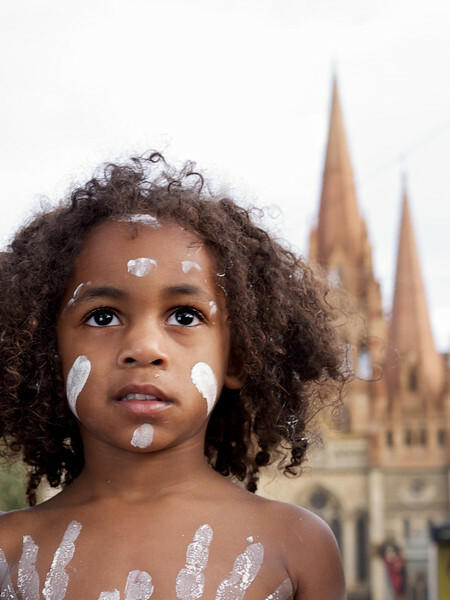 Aboriginal boy with dance paint in front of a cathedral. This little boy is only two years of age. He was between sets while dancing with his family at the opening of GenerationOne (generationone.org.au) in Melbourne.